As you will see, the different yoga classes I offer are for a wide range of people from the young to the elderly and from the very mobile to the less mobile. Yoga4life is about making the mental and physical health benefits of yoga accessible to everyone. My 25 years of practising, training, teaching and working with other yoga teachers from different styles of yoga, have given me the experience to be able to tailor my yoga sessions to suit all needs. My original Sivananda training in India provided a wonderful understanding of yoga, meditation and breathwork, and provided a solid framework for teaching classes. My experience of Iyengar yoga has helped me understand how to use props including chairs to improve alignment and make poses more accessible. Through my experience of Ashtanga Vinyasa yoga, I’ve learned how to bring more flow and creativity into my class design. Yin yoga has taught me ways of having a more mindful approach to poses. The Special Yoga Foundation’s Teaching Yoga to Children training and my experience of teaching yoga to children, both in sessions and on my camps, remind me to be more playful with yoga and present to what is in front of me. Yoga4life is about making yoga work for YOU. It’s also about building connections – a loving connection with yourself, a kind compassionate connection with your body and a feeling of connection to others and the world around you. Please contact me if you would like to try any of my classes or if you’d like more information. 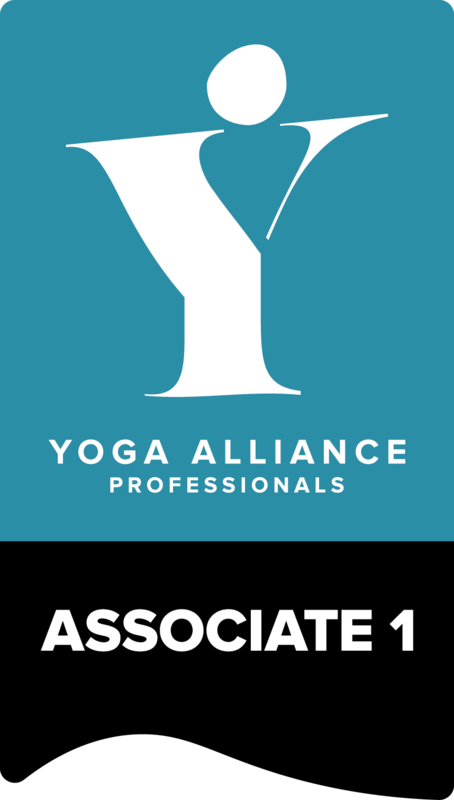 Nicole Hartely is a registered teacher with Yoga Alliance Professionals.